Welcome to our pages about thru-hiking and long-distance hiking. For thousands around the world, the Pacific Crest Trail is the highlight of a life well lived. Weeks or months spent in nature is good for body and soul. It’s a magical experience. You’ll meet countless wonderful people and join them in the PCT community. Stunning scenery is the rule. Long-distance hiking on the PCT should not be underestimated. Especially amongst thru-hikers, the failure rate is high. Injuries are unfortunately common. Substantial dangers present themselves; you meet the wilderness on its terms. A week traveling trails is a notable effort. Traveling long distance, especially the entire trail in one season, is undeniably a remarkable physical achievement. The official list of Pacific Crest Trail finishers. 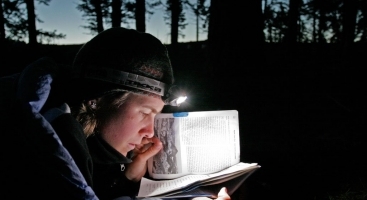 Thru-hikers will want to read everything. Start here. Interactive map, topos, digital PCT data and more. 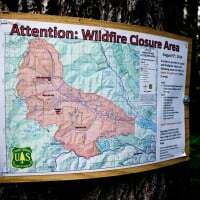 From resupply locations on the PCT to choosing a strategy. Find out the latest before you head out. Advice on how to be a low impact trail angel. The official source for PCT permit information. Which direction is right for you? 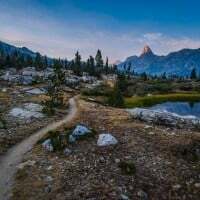 From Yosemite to Whitney; the online guide to the JMT. The database for Pacific Crest Trail journals. Read and share. Join the conversation and the community. 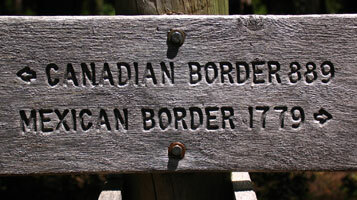 Follow along as we describe the trail from Mexico to Canada. Ready for a long walk? Here are some basic steps to help you on your way. Research. Learn from those who have gone before you. There is a great depth of information available that will help you on your way. Train and build experience. Hike often. Test your gear, but primarily toughen your body and learn backcountry skills. You’re on your own out on the PCT. 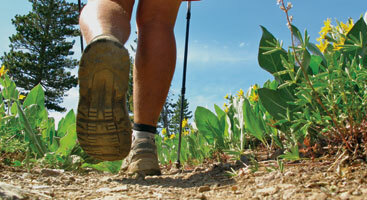 Be sure that you’re competent with basic backcountry skills and that your body is prepared to handle endurance hiking. Collect the maps and other trail information that you’ll be using on the trail. Decide on a resupply strategy. Apply for the necessary permits. Wrap up your life. Prepare your home, car, finances and insurance to be away for a few months. Organize transportation to the trail and head on out! You are stewards of the trail. Thanks for protecting the trail and leaving it in better shape than you found it. Stories of thru-hikers being kind, helpful, clean and ethical abound. Thanks for walking in their steps. We love to talk trail. Join the online discussion. Share your blog and read the other people’s trail journals. Post your trail conditions updates for the benefit of others on our trail conditions and closures page. 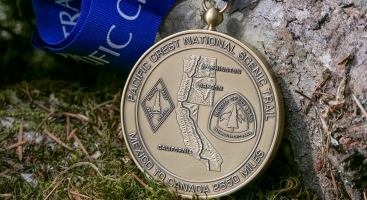 When you’ve completed the entire PCT, please add your name to the 2,600 miler list and request a medal or certificate. PCTA is in constant need of photos, videos, graphics, and articles, if you’d like to see your work published, visit our volunteer page. If you’d like to learn more about the trail and how’s it is designed and managed, volunteering, taking our maintenance classes, attending events and reading the PCT Communicator are great ways to deepen your knowledge of the trail. They are sure to enrich your time out on the crest. Love the PCT? Please become a longtime member and supporter of the trail.